Among the former are iPM, a program where listeners are interviewed, often revealing extraordinary stories; More or Less, where statistics are discussed and sometimes set right; Woman's Hour, a long-running program for women where everything and anything of interest to women is discussed; and Elements, where the role of the elements in the world's economics is explained. I already enjoyed listening to Excess Baggage, a travel programme that was cancelled in 2012 (I still have some episodes to go before I finish it, and as a matter of fact, I'm in no hurry), and Thinking Allowed, a program on sociology. iPM is the only one I have caught up with, so I still have plenty of episodes to catch up on, which is just as well because I am running out of audio books to listen to while I do my crocheting. 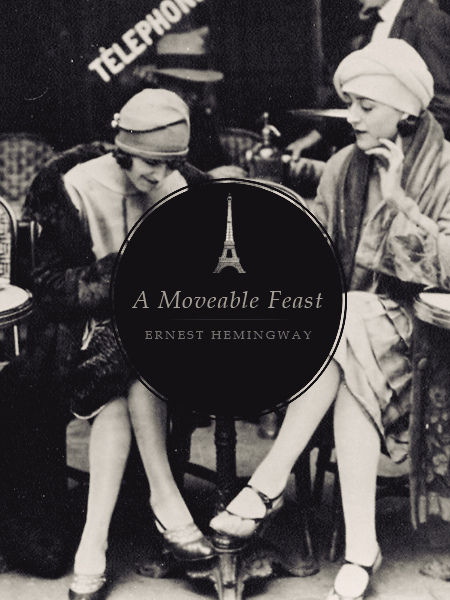 A Moveable Feast by Ernest Hemingway. I'd forgotten how much I like Hemingway's prose. This is the first non-fiction book of his I read, and it is definitely going on the keeper shelf. 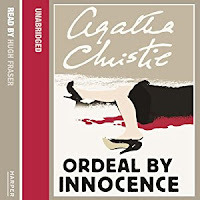 Ordeal by Innocence by Agatha Christie. Audiobook read by Hugh Fraser. A fine standalone detective novel. I read A Moveable Feast a couple of years ago now and quite enjoyed it, although I didn't think it the kind of book I'd return to so wasn't a keeper on my shelves. I hope you have a great week, and happy reading! That Marco Polo book caught my eye. I've always been fascinated by Marco Polo's journeys sothat one sounds interesting. And so does the Christie. I'd like to listen to more podcasts too, I haven't gotten into very many but there are a few I've enjoyed.